From Samsung to Apple, almost every company has launched a bezel-less or 18:9 smartphone so far and it won’t wrong to say that 2017 was the year of full-screen smartphones. Keep in mind that we are saying ‘Full-Screen’ in the sense that most of the phones launched this year have 18:9 aspect ratio and minimal side bezels. Sony is among those companies who still haven’t followed this trend. 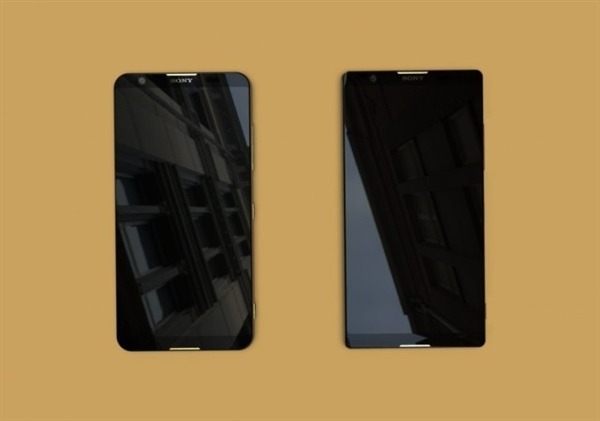 The company has launched a lot of phones this year but one thing that you will find common in all the Sony phones launched in past couple of years is the design.There are already reports and leaks that upcoming Sony phones of 2018 will finally feature a new design and today, we got a couple of images of the upcoming bezel-less Xperia smartphones. So, as the images above reveal, the phones are going to have negligible side bezels and an aspect ratio of 18:9. We all know that Xperia phones come with a fingerprint scanner on the side but seems like there is going to be a Xperia smartphone next year with a rear-facing fingerprint scanner. The two phones shown in the images above are completely different regarding the design. One has a traditional square-shaped design with Glass back while the other has curved edges with Metal back for a better grip. According to GizCHina, the model with Glass back will feature a fingerprint scanner under the glass. 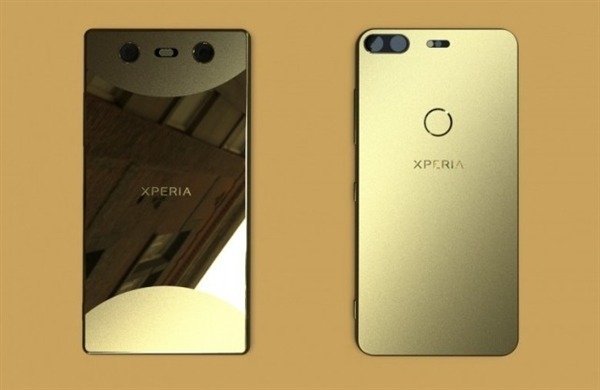 Both the phones will feature dual rear cameras, but with a different layout.The phones do keep all the main highlights of Sony phones like that dedicated camera button and stereo speakers on the front. Talking about the specifications, it is rumored that we will see a 5.7-inch 4K HDR display, Snapdragon 845, 6GB RAM, Android 8.0, USB Type-C, etc. Well, we don’t guarantee that the images above are legit. These could just be the concepts but who knows? Better consider them with a pinch of salt and stay tuned for more updates.